What are the Different Types of Food Dehydrators ? At present, there are so many brands of food dehydrators that are available in the market. But do you know that all of them fall in either of one types of food dehydrators? Yes. In this article, we will give you details about the different types of a food dehydrator and what makes them differ from each other. We will provide you some important information about the different types of dehydrator and what will be your Pro's and Con's in buying those types of dehydrator. While visiting a shop or any online shopping website, most of you see the electric models of food dehydrators. However, you can also purchase or construct your personal solar dehydrator at your home. But according to us, the solar dehydrators are not as perfect for raw foods as compare to the electric models because you cannot adjust the temperature in them without any electric thermostat. So, the electric food dehydrators have the two type i.e. As the names propose, you can rapidly see the dissimilarity in the two categories of dehydrators established on their orientation. The first category is of stackable food dehydrator which is also known as vertical flow food dehydrator. In these dehydrators, the source of heat is located either at the top of the unit or the base of the appliance. It mostly comprises of racks which have a tray for preserving the foods. Stackable Food Dehydrators are also called to be the most reasonable options in the market. The main drawback of these dryers is that the heat not spread as uniformly as it is in the shelf dehydrators. The vertic﻿al flo﻿﻿w models do consist of a fan that located at the bottom-most area. It moves the air in an upward direction. They function quite well in drying any types of fruit or vegetables, but for dehydrating the meat jerky, you have to put some extra effort like the rotation of the trays in between the process of dehydration. A stackable food dehydrator has an electrically-powered base which spreads the hot air in the entire shelves where food kept. There are few outlets on its border that assist in air circulation. The racks are positioned on the top of each other and sealed in such a way that the heat does not leak from the dehydrator. Examples of Stackable Food Dehydrators: Nesco FD-37A American Harvest Food Dehydrator, Waring Pro DHR30 Professional Dehydrator etc. The stackable food dehydrators are affordable to buy as compare to the shelf food dehydrators. The size of these types of food dehydrators is small as well as compact. Usually, they do not take much counter space in your kitchen, and you can store them easily. Most of the stackable food dehydrators come with the option of expandability. It means if you want to add more trays to the appliance, then you can buy them additionally from the market and increase the drying capacity of the unit. The stackable food dehydrators are obtainable in different sizes in the market. It means you can buy the particular size which matches your needs of dried food. You should never heat the stackable food dehydrators as consistently as the shelf models. You have to do a rotation of the trays in between the process of dehydration so that your food is dried evenly from all sides and edges. The foods which placed close to the heating element gets dry faster which makes the shuffling of the shelves necessary. They dried out fruits and vegetables much better than a meat jerky. The next category is of Box and Shelf Food Dehydrators which is also referred as Horizontal ﻿﻿flow food dehydrators sometimes. To some extent they function like a conventional handy oven in which the heating source located in the back of the unit. Box and Shelf Food Dehydrators are more costly than the Stackable Food Dehydrators. However, these dehydrators recognized for drying at a more uniform rate during the dehydration process. That is why these dryers are the perfect choice for making beef jerky or for dehydrating meat. 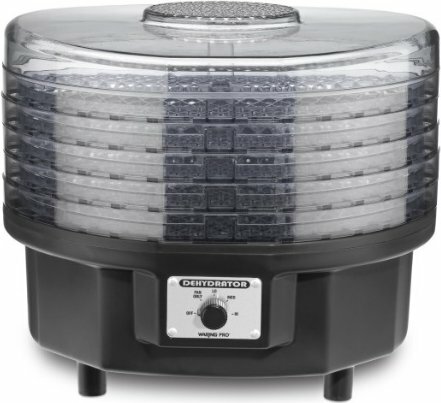 Without a doubt, this type of food dehydrator is the stress-free to use. The electric heater as well as a fan located on the back side of the unit. It mainly comprises of a container (also named as the outer case) in addition to the shelves (known as trays). The trays in the Horizontal flow food dehydrators placed in a prearranged manner. The fan which located on the backside of the container helps in blowing the hot air all over the food on every single tray. Examples of Box and Shelf Food Dehydrators: Excalibur 2400 4-Tray Economy Dehydrator, Excalibur Dehydrator 3900B 9 Tray Deluxe etc. The Box and Shelf Food Dehydrators results in uniform and efficient dehydrating throughout the entire process. You can comfortably use this machine for drying tougher foods like meats and jerky. It is very easy to use the shelf food dehydrators as there is no manual work required in starting it. You can make more any type of delicious recipes in them. 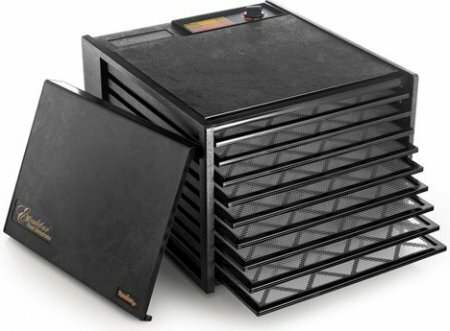 The insulation power is better than the stackable food dehydrator. As the air flows horizontally in the dehydrators, the entire fetch equal quantities of heat. These types of dehydrators are more expensive to buy as compare to the stackable food dehydrators models. Most of the shelf food dehydrators are larger in size and need more counter or cabinet space for keeping and storing. Somewhat these machines are heavy to move from one place to another. I think now you must be clear about the different types of food dehydrators and while buying this fantastic appliance from the market, you will consider this as an important thing. Q: Hi, I Have a Very Small Budget for Buying a Food Dehydrator. 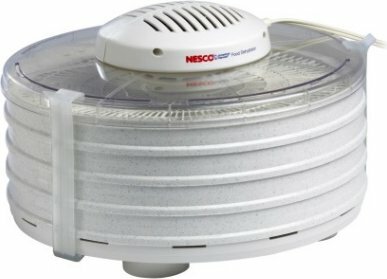 Can You Guide Me That Which Type of Food Dehydrator That I Should Buy? If you have the small budget for buying, then you should go for stackable food dehydrator as they are less expensive than the shelf food dehydrators. Q: I Am Looking for Buying a Food Dehydrator for Drying Beef Jerky in It. 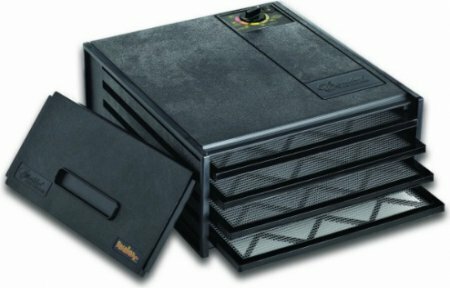 Can I Purchase a Stackable Food Dehydrator? The stackable dehydrator is perfect for drying fruits and vegetables. Thus, if you want to buy a food dehydrator for drying meat or jerky, then box and shelf food dehydrator will be the best option. Q: Which Type of Food Dehydrator Is Easy to Maintain? Well, Both types of food dehydrators are easy to maintain. You just have to follow the instructions, and the guidelines given by the manufacturers in the guidebook and your machine will maintain correctly. Q: How Air Flows in the Stackable and Shelf Food Dehydrators? In the stackable food dehydrators, the air flows vertically whereas, in the shelf food dehydrators, the air flows horizontally. Q: Do the Commercial Food Dehydrators Belong to the Stackable Category? The most of the commercial food dehydrators belong to the box and shelf food dehydrator category. But this varies from model to model and company to company. Thus, this cannot be a mandatory thing. Q: Is There Any Rotation of Trays Required in the Stackable Food Dehydrators? If you are buying stackable food dehydrators then, the rotation of the trays needs to be done in between the process of drying so that it results in the uniform dehydration of the food. However, in shelf food dehydrators, there is no need of doing a rotation of the shelves. As you have seen, in the above article we have discussed in detail about the types of food dehydrators along with their benefits and imperfections. As soon as, you have a clear picture in your mind that which type of food dehydrator needed then, it will become very easy to pick the best possible appliance from all the available options. On our website you can check the food dehydrators belonging to both categories along with complete review. If you have any query, then you can write to us in the comment box below.